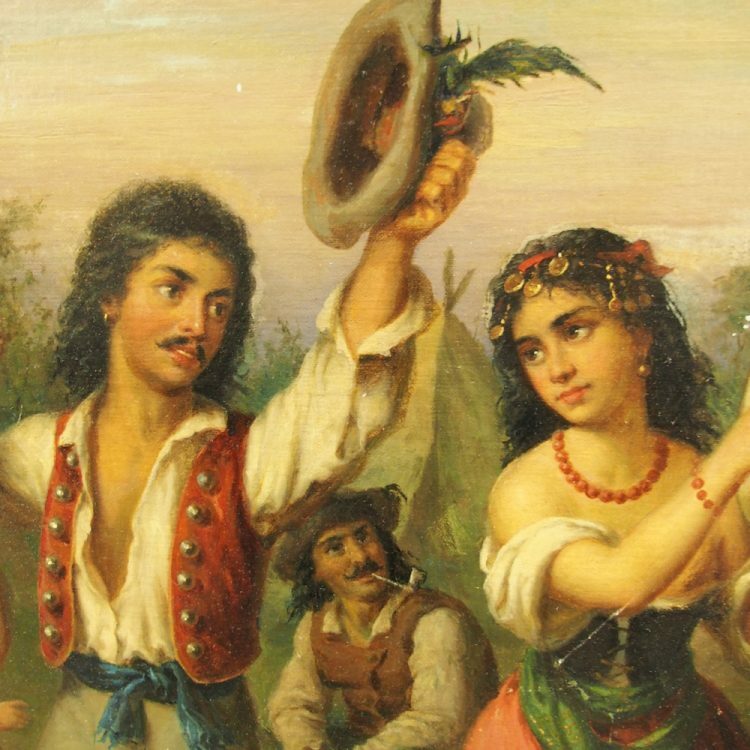 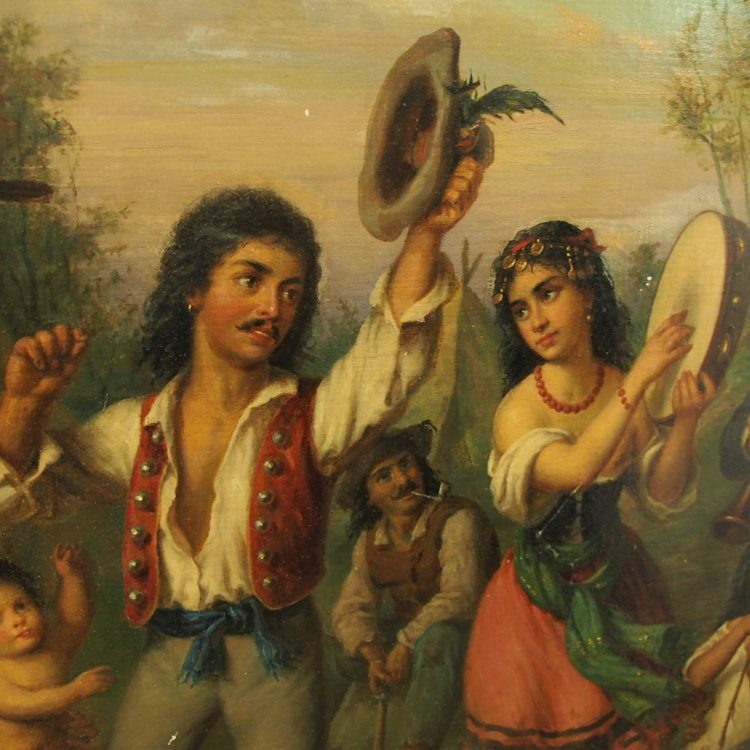 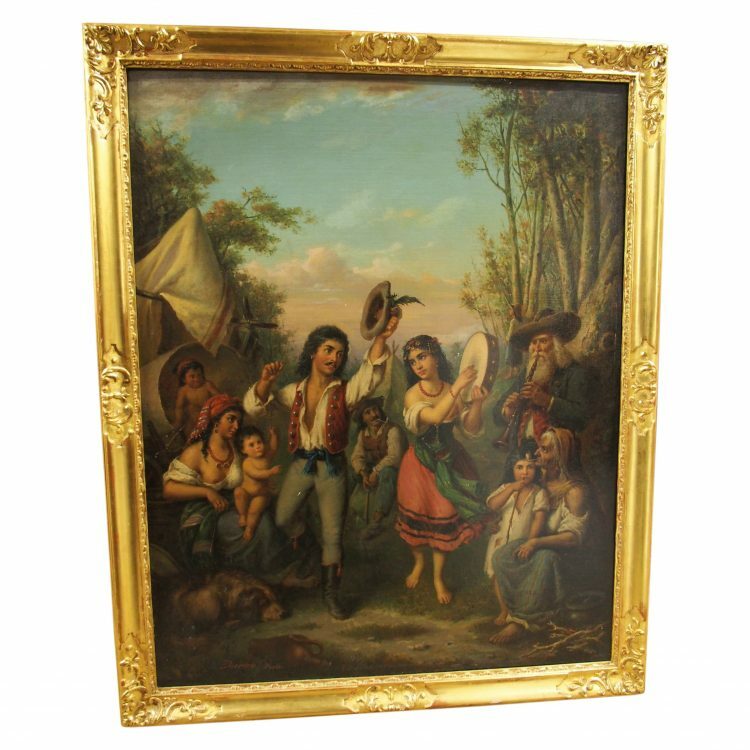 Oil on panel painting ‘Gypsies Dancing’, possible attribution: Carolus Duran (1837-1917). 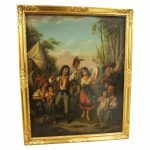 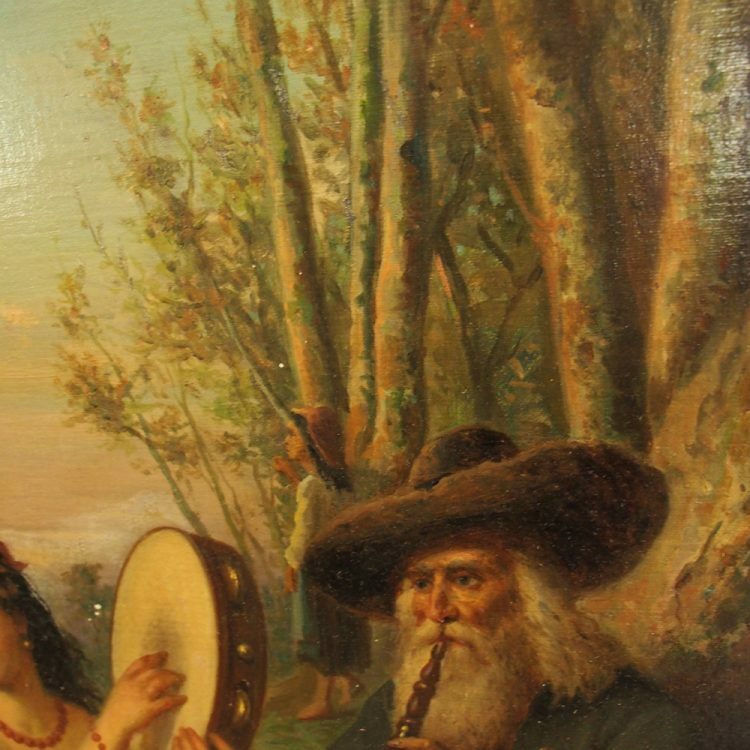 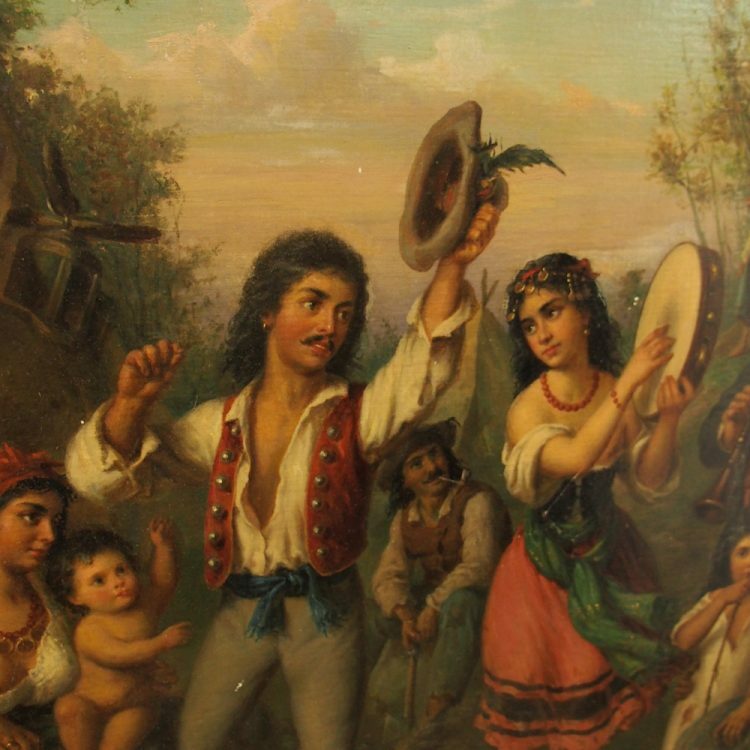 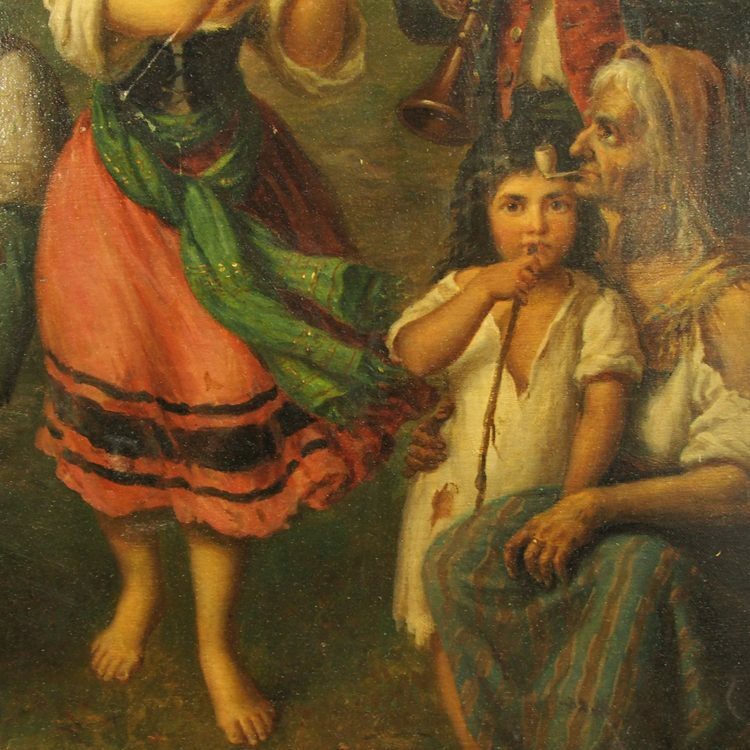 This painting depicts gypsies dancing in an encampment and is signed “Duran Paris” in red. 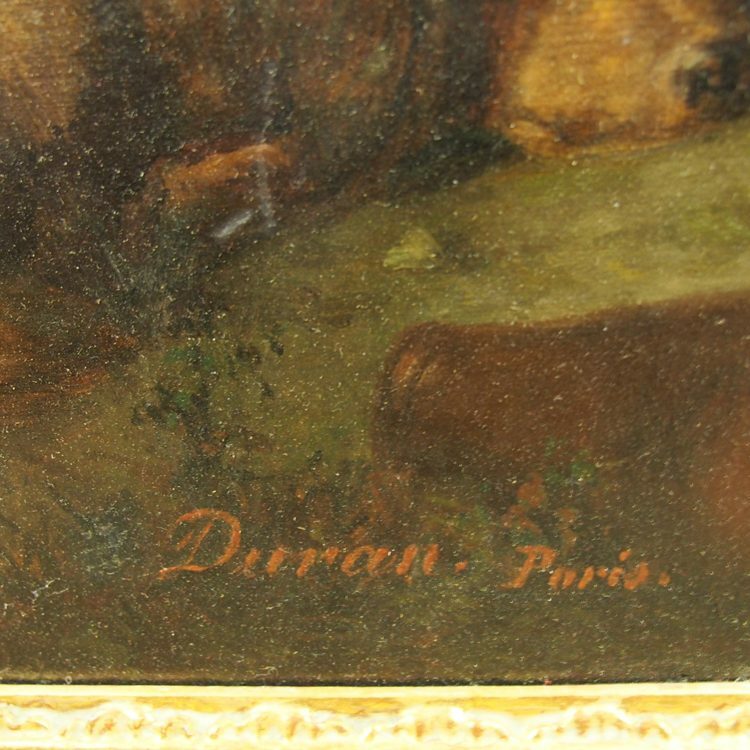 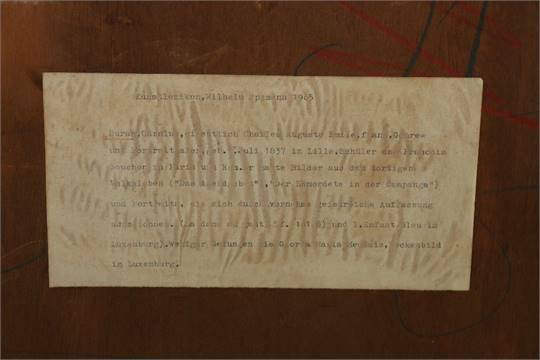 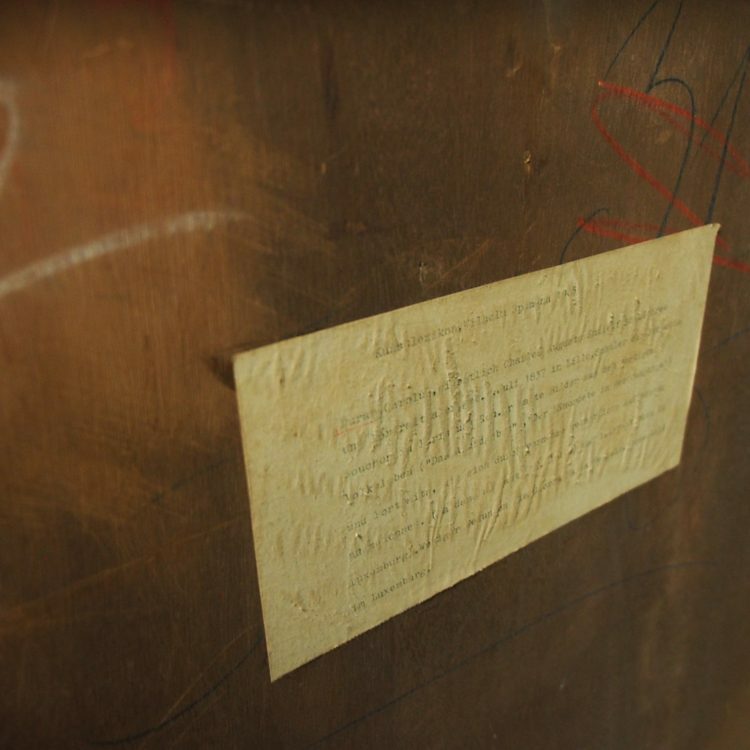 Provenance: Yester House, Gifford. 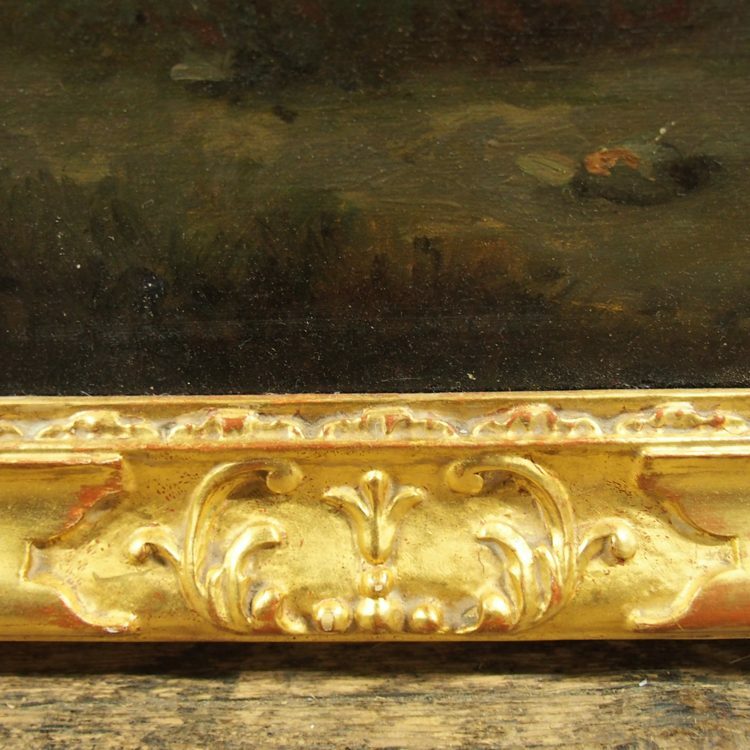 Size 98 cm high x 78 cm wide.